Good bushy habit with dark green foliage. 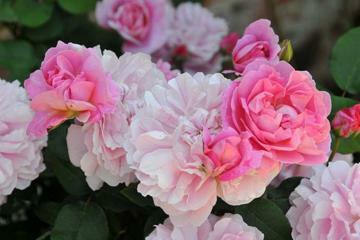 Double, fragrant flowers in shade of rich pink, darkest in bud then fading attractively with age. Repeat flowers. Raised by David Austin Roses, 1991.